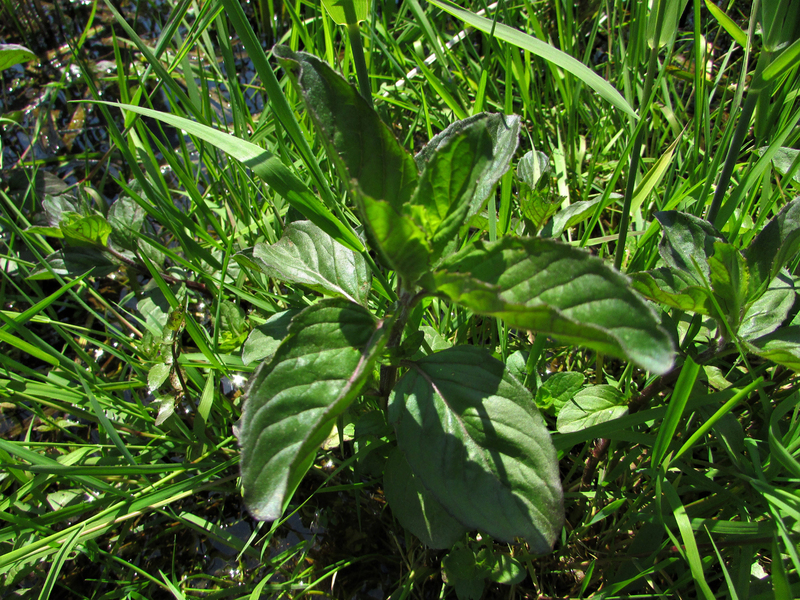 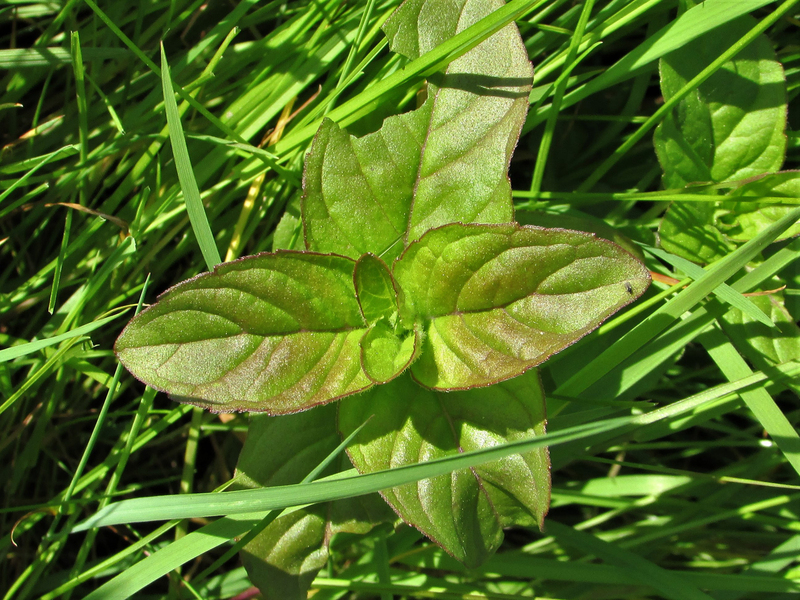 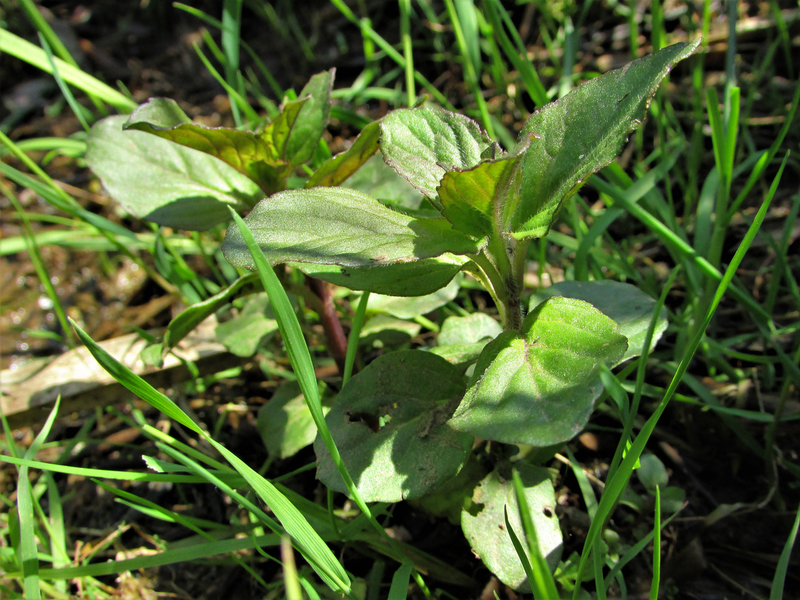 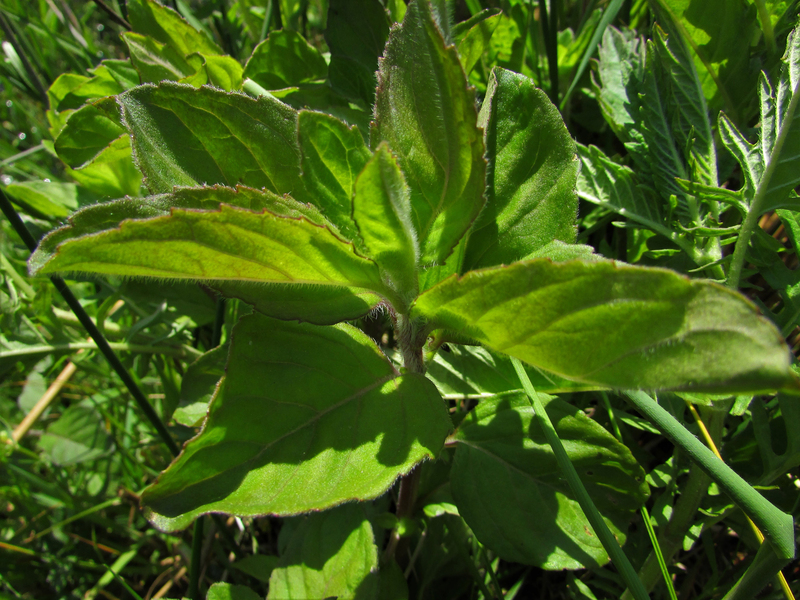 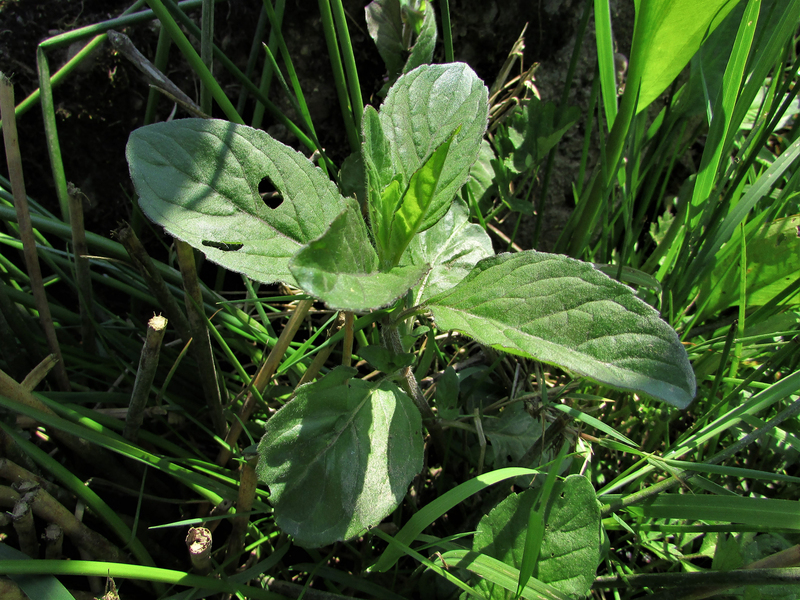 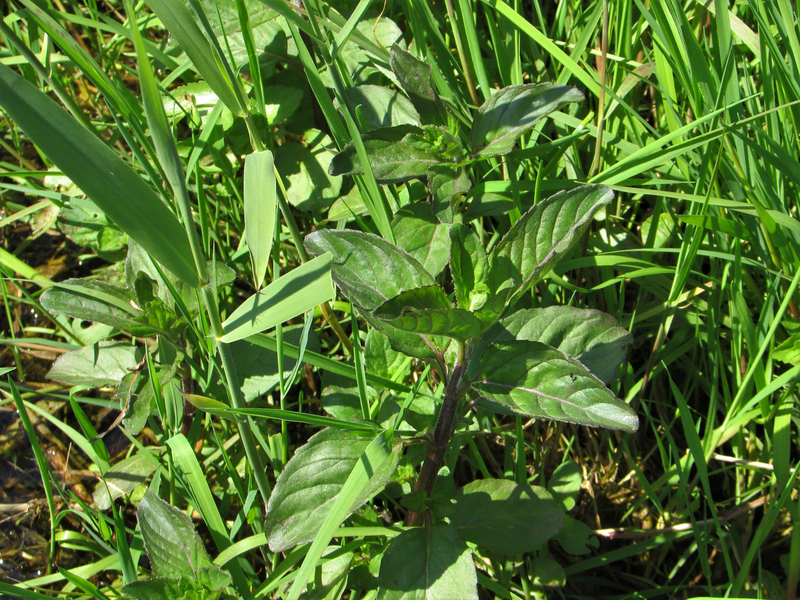 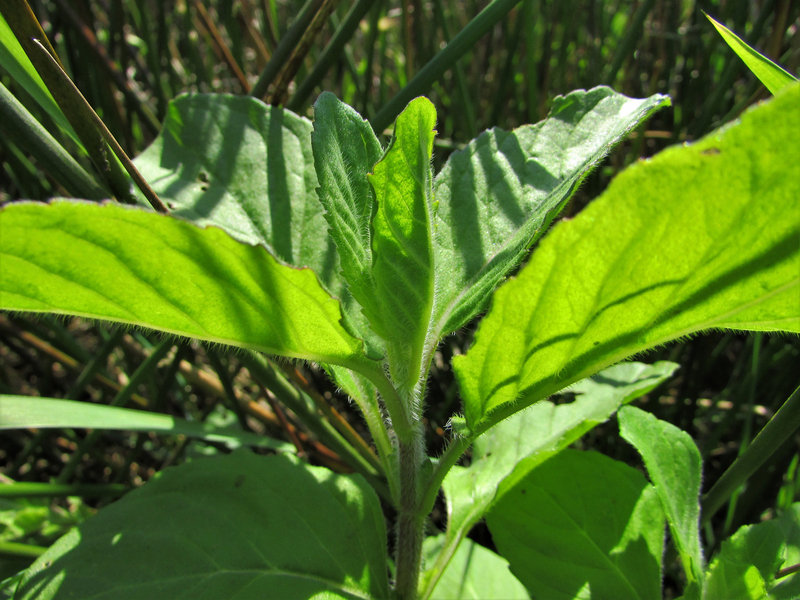 A sweet tasting and large common mint found near or in water or sometimes damp woodland. 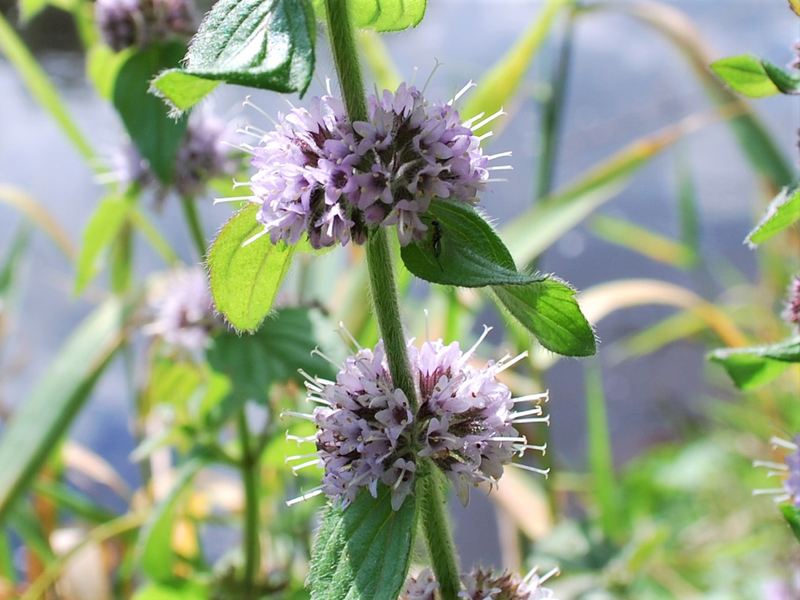 Water mint hybridises easily with other mints and a cross of water mint and spearmint produces peppermint. 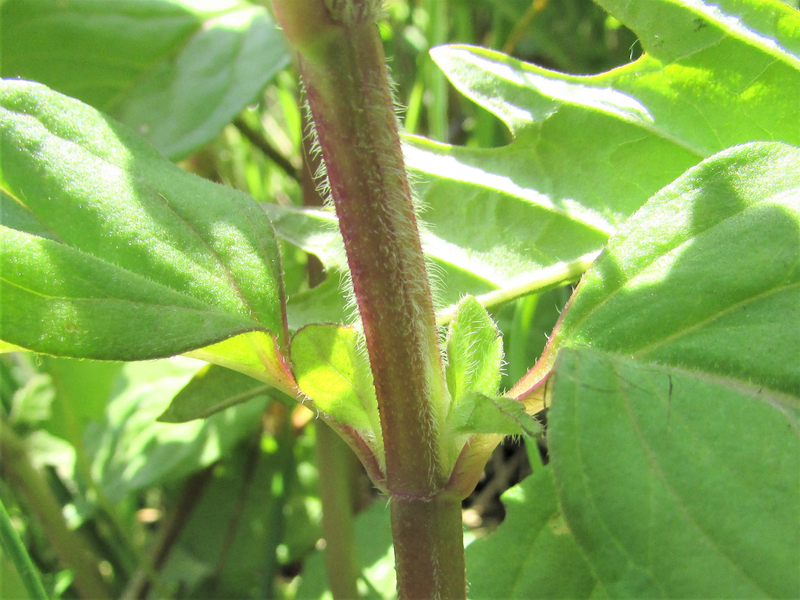 Ovate with serrated edges. 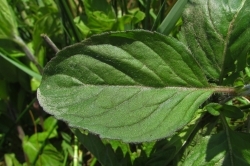 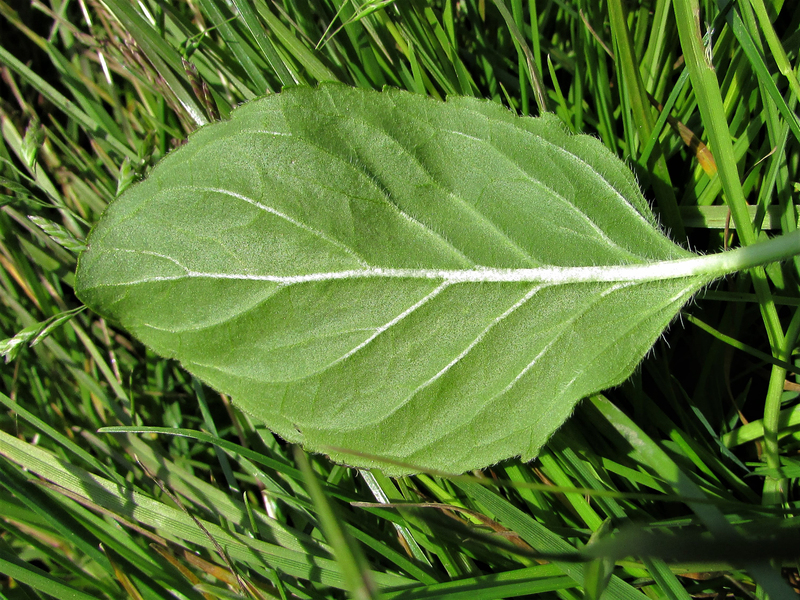 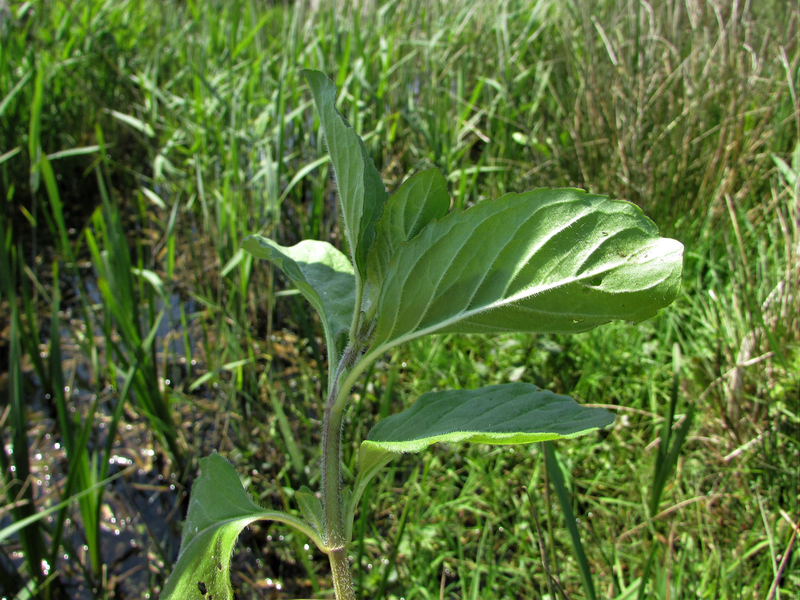 The leaves can be completely green to having purple edges and veins and can be hairy or smooth. 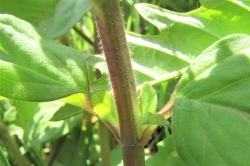 Pink to lilac clusters of tiny flowers on the stem where the leaves join and one terminal cluster at the top of the stem. 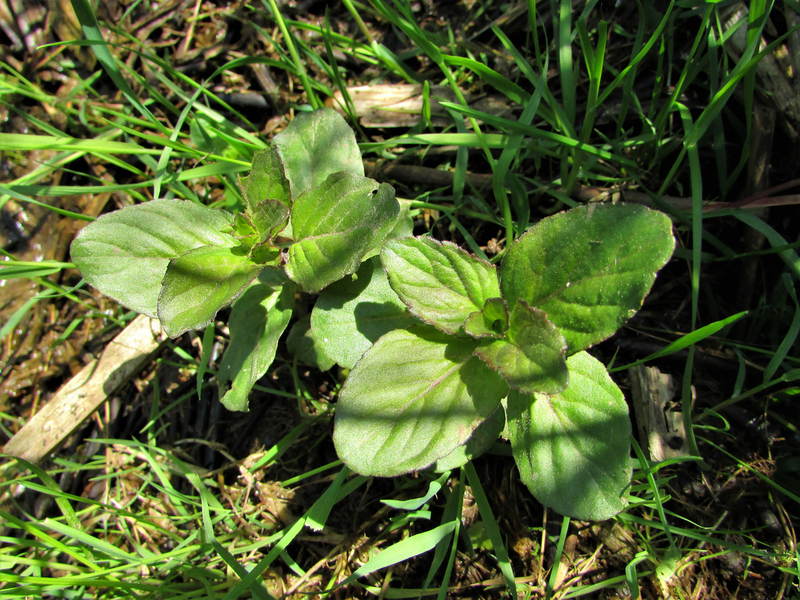 Has a square stem that can be green to purple and hairy or smooth. 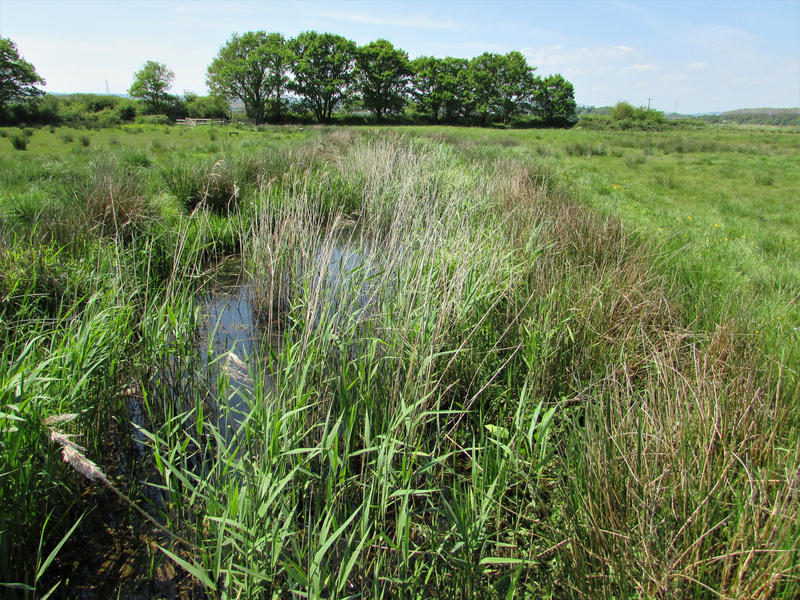 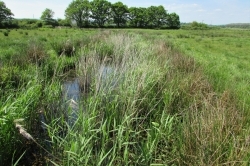 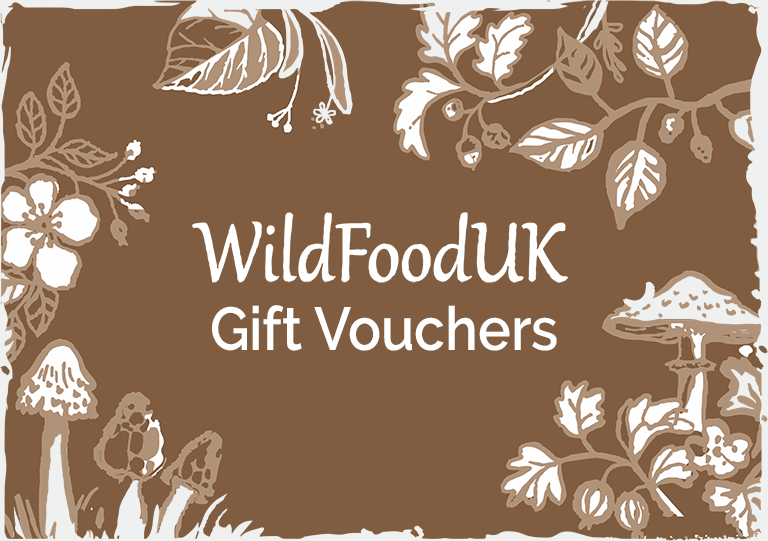 Slow moving fresh water or ponds and lakes or sometimes damp woodland or boggy fields. 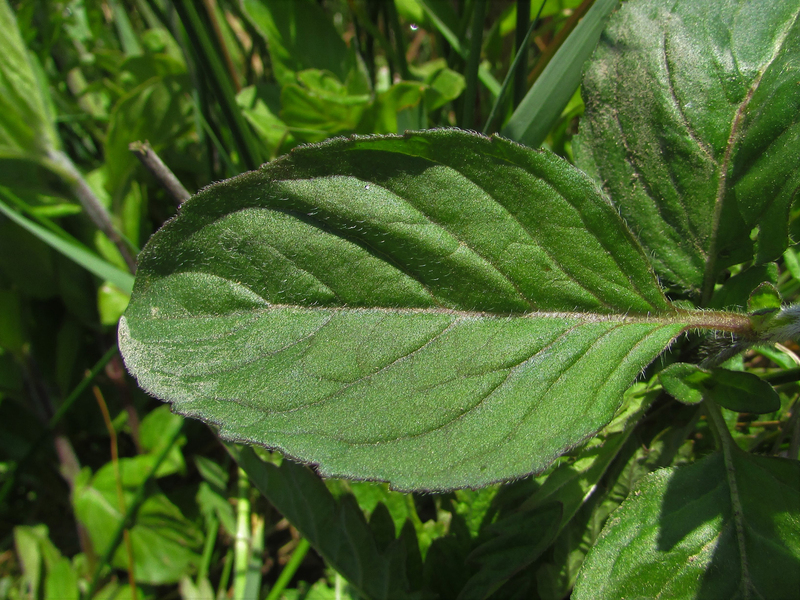 The smell is your best identification for finding members of the mint family. 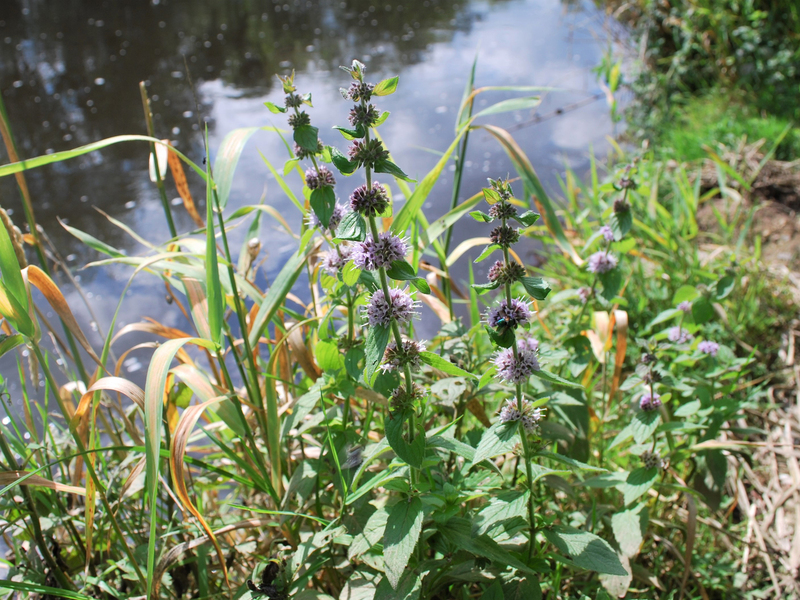 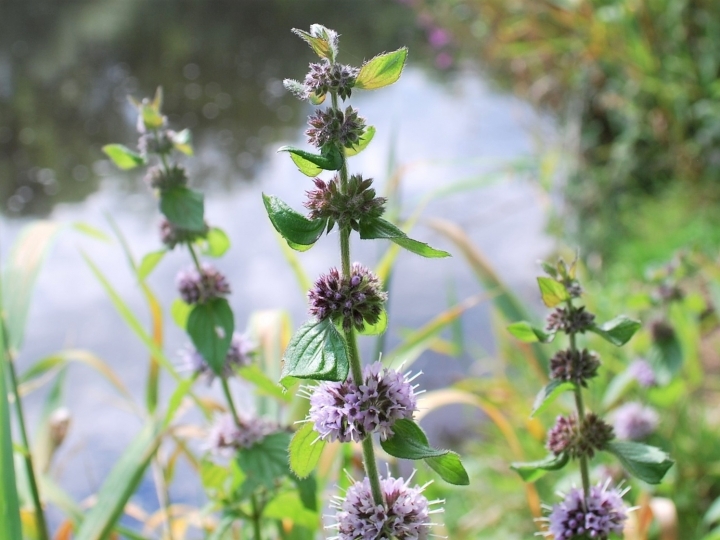 Water mint can usually be identified by being in or near water. 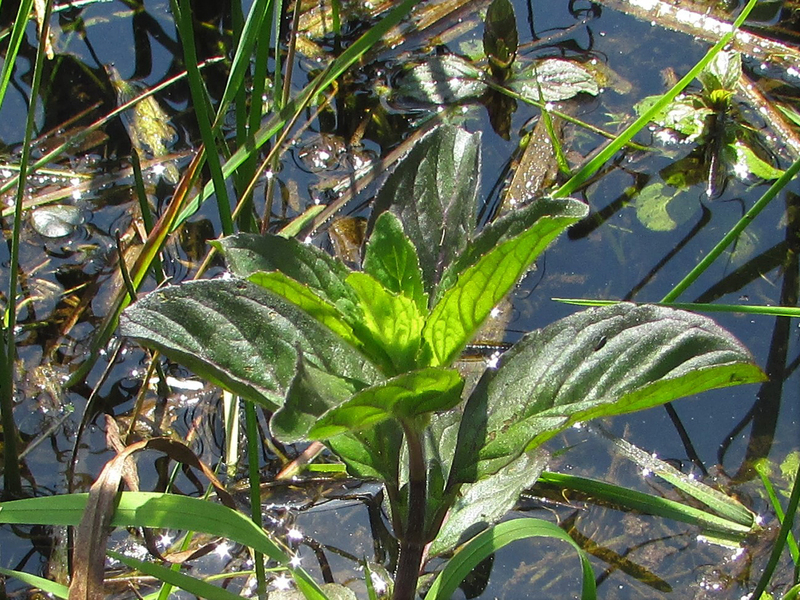 Fairly common in the right environment. 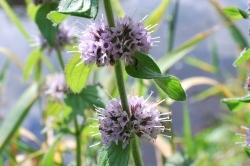 Good as a tea for calming the nerves or stomach problems and can be used like any other mint.